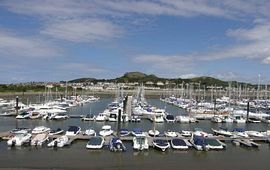 4 bedroom townhouse on the waterside overlooking Conwy marina, minutes from the beach and Conwy golf course. 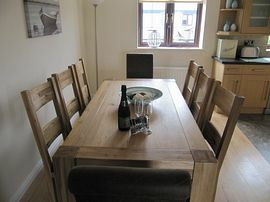 The property sleeps 8 people comfortably and is equipped to an exceptionally high standard. A short walk into Conwy with it's castle. 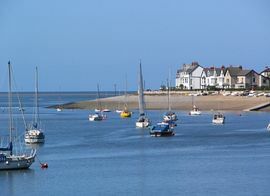 Ideal location to explore Snowdonia, Anglesey and only minutes from Llandudno and Deganwy. Suitable for walking, golf, sightseeing, sailing or just relaxing. The property is spread over 3 �floors with the lounge situated on the first floor, with a balcony overlooking the marina. It is appointed with oak style flooring, solid oak tables & leather sofas as well as a 40 inch flatscreen TV and Blu-ray player and complimentary Wifi, for the few moments when you aren�t captivated by the view! 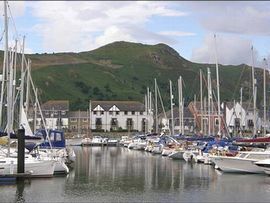 Waterside location with stunning views of the marina. 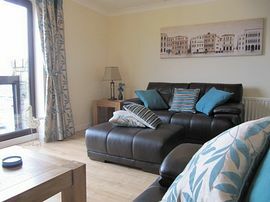 High quality furnishing and decor throughout. ROAD: From the A55 west or east bound exit at Junction 17 and follow signs for the marina. TRAIN: Main line station at Llandudno Junction with taxi office on site -direct links to London Euston in 3 hours and throughout the UK www.virgintrains.co.uk. BUS: Stop 200 yards from cottages on the hour. See map. Open all year with weekend breaks available between November and Easter.